Perhaps nobody ought to have any problems with finding Wrocław. If you arrive at the city from the west, along the road no 94 from Środa Śląska you need to direct ahead down the main road. Approximately 500 m on crossing railroad track you would reach the Świętojański square. There on the left side of the road is a white wall, and beyond it a castle in the park. 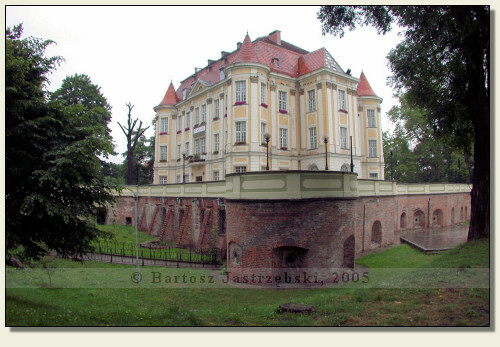 History of the castle in Leśnica dates back to the XIIIth cent., when a ducal manor, converted in the XVth cent. into a brick castle, existed there. Already in the first half of the XVIth cent. 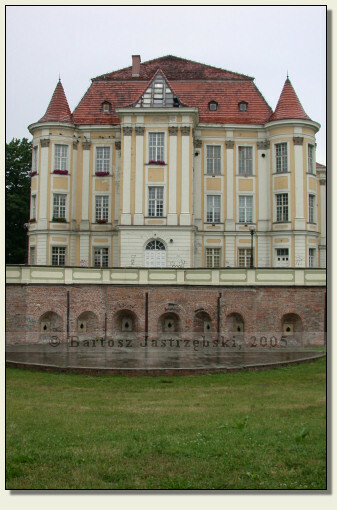 the castle was rebuilt on the occasion of change of owners. 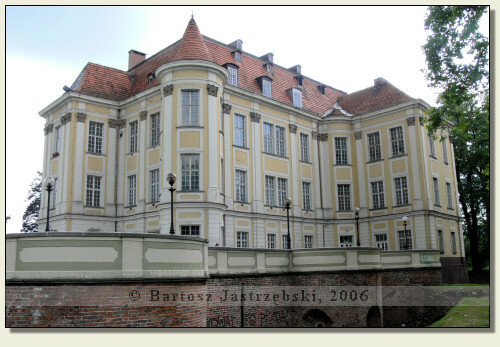 The entire alteration of stronghold’s appearance ensued in the XVIIIth cent., when it was converted into a baroque palace. 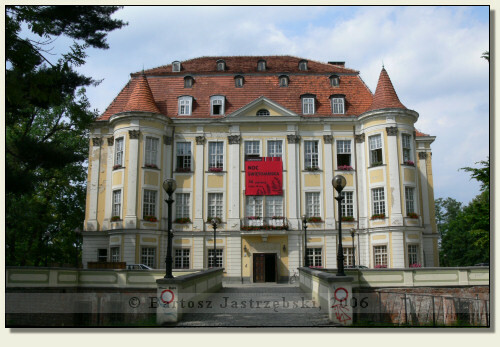 The building burnt down in 1945, but was reconstructed at the end of the 60s of the XXth cent. Leśnica is a district of Wrocław now.